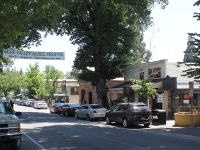 One of the principal mining communities in Calaveras County, Murphys was named for the discoverer of gold on the flat in 1849. 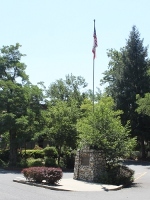 The objective of many immigrants coming over the Sierras by Ebbetts Pass, Murphys Flat and surrounding mines produced 20,000,000 dollars in gold. Early regulations restricted claims to 8 ft. square. A suspension flume conveying water across Murphys Creek and drainage race draining the flat were two outstanding accomplishments of early day miners. 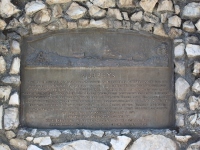 The business portion of town was destroyed by fire August 20, 1859.